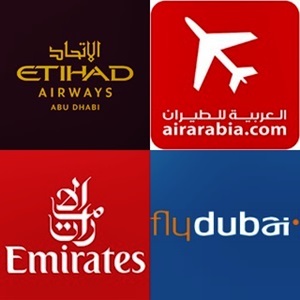 The current jobs opportunities at different airlines in UAE.It could be an ideal occasion for those who are looking to work with UAE's airline industry. A lot of airlines in the emirates have invited candidates for different job categories. Some of the job chances include captain, cargo sales manager, resource planning controller, lounge agent and cargo supervisor. Applicants can look at some of the jobs opportunities being offered by airlines such as Emirates, flydubai, Etihad Airways and Air Arabia. Abu Dhabi's Etihad Airways posted some job opportunities this week, including aircraft captain, first officer, managers and lounge agent. This month Emirates posted vacancies for first officers, captain and cabin crew members. The Dubai-based carrier also has job opportunities for cargo supervisor, technicians, customer service professionals and mechanics. Flydubai is also looking to hire captain, first officer, technical engineer and trainees.